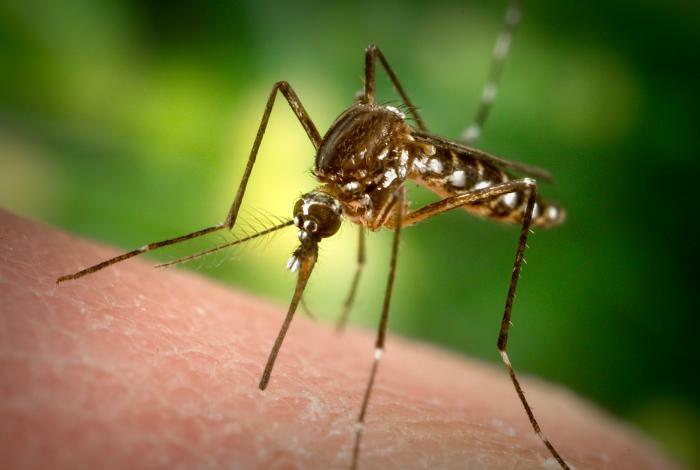 The NYC Health Department has confirmed the first human case of West Nile virus and the first collection of mosquitoes infected with the virus of the 2018 season. The patient, a resident of Manhattan who is over 50 years of age, was hospitalized earlier this month with encephalitis and has since been discharged. Human cases of West Nile virus occur each year in New York City, and most cases are identified between late July and October. West Nile virus activity varies every year. This is the earliest identified case since surveillance began in 1999. In individuals over 50 or with a weakened immune system, West Nile virus can cause severe illness, including meningitis and encephalitis, which can result in permanent or long term complications including muscle weakness, fatigue, confusion and depression. Others may experience milder symptoms, which include headache, fever, fatigue, and rash. In addition to the human case, the Health Department has detected mosquitoes with West Nile virus in New York City. New Yorkers can learn more about West Nile virus and how to protect themselves from mosquito bites here. · Use an approved insect repellent containing DEET, picaridin, oil of lemon eucalyptus (not for children under three), IR3535 or 2-undecanone. · Make sure windows have screens. Repair or replace screens that have tears or holes. · Eliminate any standing water from your property and dispose of containers that can collect water. Standing water is a violation of the New York City Health Code. · Make sure roof gutters are clean and draining properly. · Clean and chlorinate swimming pools, outdoor saunas and hot tubs. Keep them empty or covered if not in use. Drain water that collects in pool covers. The Health Department has a robust mosquito surveillance program that is in place from early spring through the fall. Currently, there are 61 surveillance traps in the five boroughs. The agency’s mosquito control efforts are data driven and rely on mosquito trapping and testing results to determine areas of the city to spray pesticide and apply larvicide. The Health Department will conduct spraying in neighborhoods based on evidence of increasing West Nile viral activity in mosquitoes. Department employees use truck sprayers to kill adult flying mosquitoes. To further reduce mosquito populations, the Health Department also removes standing water and applies larvicide to sites that cannot be emptied or drained; investigates standing water complaints filed through 311; and educates the public about mosquito-borne illnesses through outreach. The West Nile virus was first detected in New York City 19 years ago. Since 1999, the number of human cases has ranged from three to 47 annually. Of the 259 West Nile virus neuroinvasive disease cases overall, 38 (15 percent) have died due to their infection. The number of positive mosquito pools has also varied from 40 to 827 per year. New York City has over 40 species of mosquitos, but West Nile virus is transmitted primarily by several Culex species, including Culex salinarius and Culex pipiens. Every year, as a part of normal outreach, the Health Department also conducts 80 to 90 presentations to educate communities about mosquito-borne illnesses. Community presentations on West Nile virus and other health topics can be requested here.